"To reach clients throughout the world with my online courses"
It is a platform where one could earn some cash as well as helpful in finding a tutor for your subject. For someone how is looking to enhance or build a freelance career, it would be a great place to start a business and is a great way to earn some pocket money. However , it has to be noted that money does not come easily, and you need to do some marketing. The conversion rate is a little slow at times and business is not easy. Need to do self marketing. You will be disappointed at first having less sales and it takes a long time to build a reputation and come among the people. It is not easy to make business at one go. Need to have some patience till the work sets in. "Teachable Changed Everything For Me"
I have been using WordPress and building websites for almost ten years now. I previously had my courses and memberships on my own site. Since I moved them to Teachable, my sign ups have tripled and my cancellations have gone down to almost nothing. They have an incredibly easy to use system that has everything and that my students love. Plus they offer an affiliate system so I don't have to worry about anything. I can easily make my students affiliates and Teachable takes care of all the payouts and tracking. I do pay quite a bit per month for having all the features I want, however, in the end, the time and money it would take me to do all these things, the price reasonable. Create your course and sell it before you are ready. This will let you know what you need to create. Make sure to have a beta group test the course first as well. Teachable runs all my courses and memberships. This is my passive income source. This is a huge part of my business that I have been building. Since switching everything to Teachable, my sales have increased. "Multipurpose tool for Education and Business"
This is a great tool to use for someone who really wants to embrace online learning and teaching on the fly. 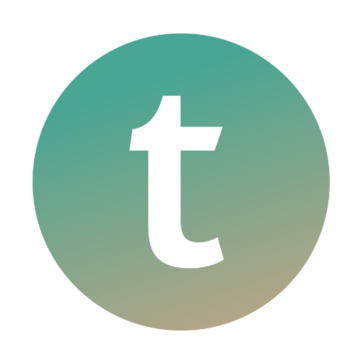 Teachable has amazing tutorials to help you through every step of the process. It's also so easy to customize, personalize, and frame to your branding and style. We've just recently moved to this tool because it's easy to understand with multiple web-design backgrounds. We are very excited to utilize this and look forward to hearing feedback from our staff. As of right now we only have the basic plan which leaves us with a credit card transaction fee. At 5% this can really impact sales in the purchasing update and we may have to reevaluate upgrading our account. Also, unless we upgrade, this is only one owner/author which means we all share a log-in and do not have as much traceability as we would with other tools or a different plan. The biggest advantage is how easy it is to use. We've tested out the editing features with multiple teachers and there have been minimal questions that they couldn't find answers to through training tutorials or Teachable's support staff. With over 2,300 staff members, it's hard to manage all the questions and problems by myself, being able to trust in Teachable's staff is so helpful. "An easy way to get your courses online"
With Teachable, you can go from idea to execution fairly quickly, and get your course up and running and (potentially) making sales fast. There are some things which are frustrating and limiting, but you learn to work around them. If you want an easy to use solution for hosting your courses, Teachable is great. You don't need to worry about video hosting or taking payments or creating your own membership system - it's all included. It is however quite pricey and support can sometimes take a long time to get back to you - that is improving though. I used to host my courses on my own site, but on Wordpress there were always issues with updates and security and plugins, and on Squarespace there really isn't a decent membership solution. Once I moved my courses to Teachable, most of the admin side was no longer an issue or a headache. 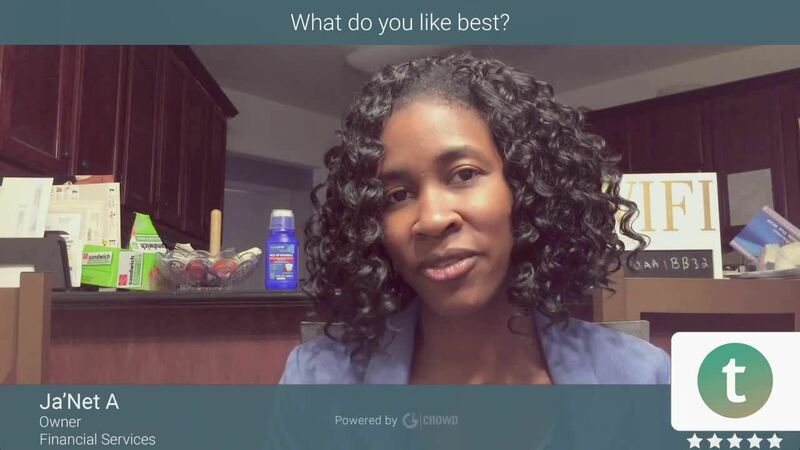 "Simple Interface for New Course Creators"
I like that Teachable provides plenty of resources for every level of entrepreneur to ensure they have the best opportunity to publish their content and share it with their audience. I dislike the 30 day hold on payments from purchasers for all but the most expensive pricing level. I would recommend starting with the FREE plan and build out your course/courses there, avoiding the upgrade to the paid version until you are ready to monetize your course. I am able to provide free course resources for my audience while building their trust as I prepare to launch a paid course. "Get your courses up and running within a day"
Simple interface even for first timers. Affiliate management, coupon management could be better. Great software that is suitable if you are a first timer in implementing this. Cost effective and scalable for most organizations. To quickly deploy a LMS that is easy for course instructors to upload, and easy for students (who may not be tech savvy) to use and consume. Benefits realized: Fast way to get up a LMS and elearning platform when you have content ready. "An easy platform to get started on and to get results"
Lately, Teachable has had lots of downtime and errors, making the site inaccessible. This can be very disruptive for us and our students, especially during launch periods. After testing several different options, I found this to be the most intuitive for creating ecourses. The pricing, specifically how it's a subscription model. It would be better if they took a percentage based on sales. Test many different options and consider ease of use (not just for yourself but more importantly for the end user) as well as pricing to find the best solution that fits your needs! "Comprehensive education platform delivering exceptional value"
They understand both the business and user experience elements necessary to launch, promote, and manage online education programs. At this point, there is nothing to dislike. We do look forward to growth in their analytics which will come in time with their growth. The delivery of real-world education in the subject of b2b brand story mastery, brand strategy mastery, and marketing execution mastery. "Longtime course creator customer review "
I like how easy it is to create courses. It's fun and effortless. You don't have to be tech savvy. I dislike pricing. I'd be happier with more packages and cheaper plans. Serving my customers by providing content about problems they need solutions for. Classes are easy to create and navigate. Compared to other platforms the cost of adding additional admin support is expensive. The cost is not compatible with newer like platforms. However, it will take alot of man hours to transfer our courses elsewhere. But we may have to this summer. We needed additional admin support without the high exuberant cost. "Teachable - I am new and still learning"
Easy to use and input information into the system. I like how user friendly it is. I am not 100% sure how it will look/feel when complete. take time to learn, and implement. Easy to log into. Helpful user interface. For larger courses, it's harder to skip between lectures. You must scroll all the way down. Easy to use, but could improve interface options and batch downloads. easy interface, access on multiple platforms. I looked at many online course platforms before deciding on teachable. It’s intuative and they offer excellent support. Online course creation for my business. "Go to software for training"
My favorite feature is the ability to update students usernames/password easily when they get locked out. I wish there was a way to send a coupon code link without having to do a bulk generation. We have two training courses that we host on Teachable and it is a great tool & resource for our clients to use. "Does the job for a good price"
It’s a good first option if you’re just breaking into the online course world. It’s difficult to brand it to your own business. * We monitor all Teachable reviews to prevent fraudulent reviews and keep review quality high. We do not post reviews by company employees or direct competitors. Validated reviews require the user to submit a screenshot of the product containing their user ID, in order to verify a user is an actual user of the product. Hi there! Are you looking to implement a solution like Teachable?